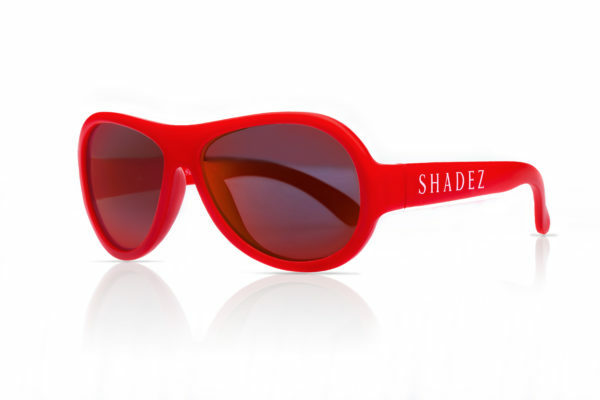 Shadez Classics Red for both boys and girls is available in 3 sizes, to fit babies, toddlers, kids and pre-teens. 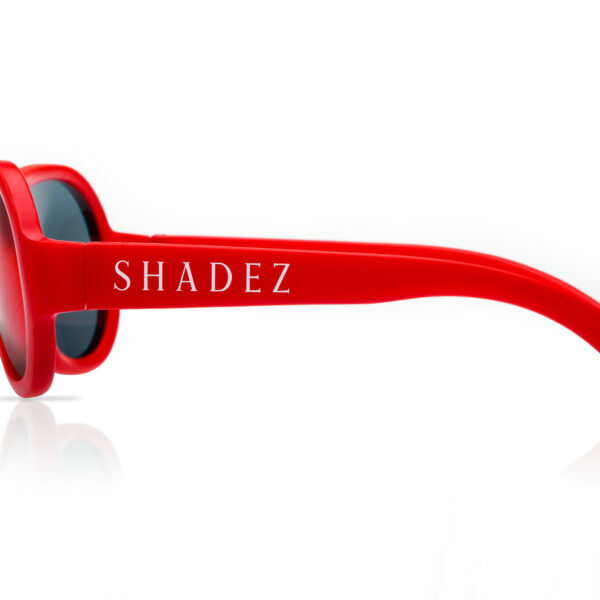 These super trendy kids sunglasses will protect your child’s eyes from the harmful sun rays with a UV400 index. Experts recommend that children in particular protect their eyes because they are more susceptible to retinal damage from UV rays. The lens inside a child’s eye is clearer than an adult lens, enabling more UV to penetrate deep into the eye. Increasing the risk for sight threatening conditions. 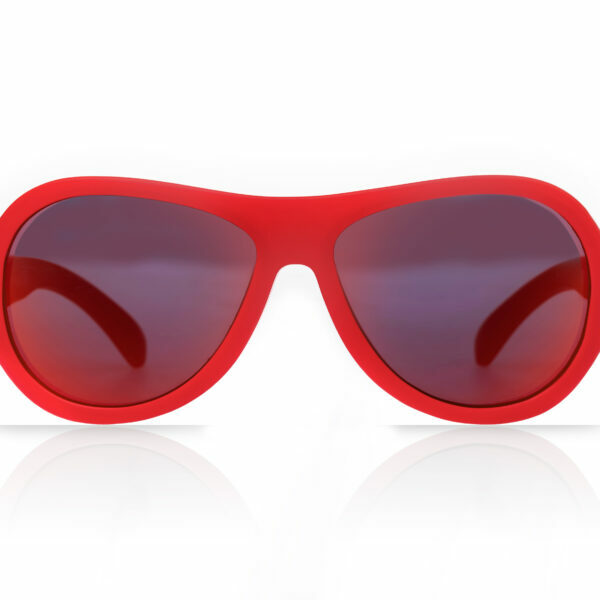 Developed by Swiss parents who saw a growing need for a fashion forward kid’s eyewear with optimal protection and durability. 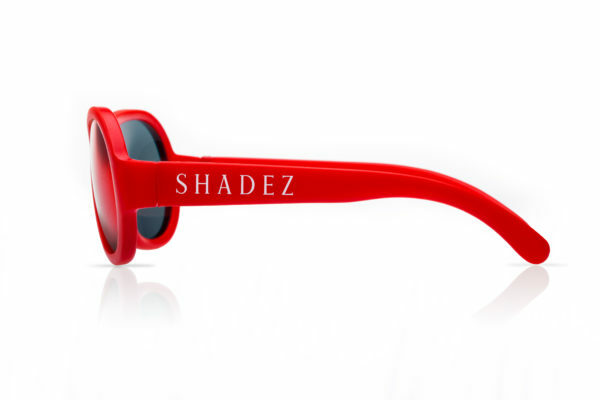 Shadez are safe, trendy and durable and designed to make any experience cool. Our range of designer patterns is customized for each age category. 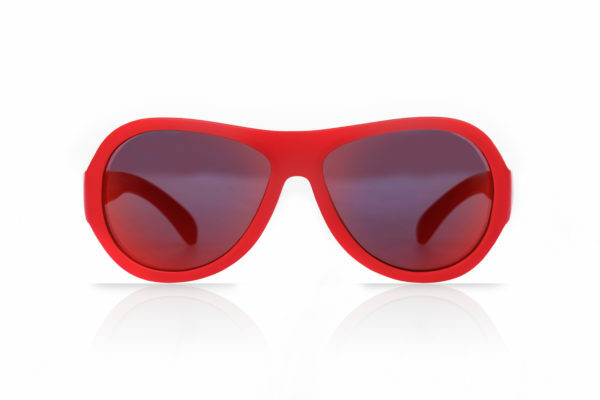 So your child can find the perfect pair to express their individual style.